Of course, the Xtralight-4 mobility scooter is a product made by the famous Shoprider Mobility company. 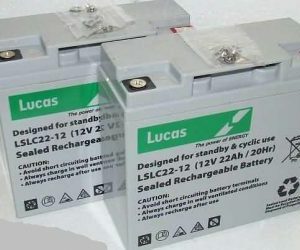 So we recommend that the Lucas batteries and the FirstPower batteries are fitted to this machine as an exact replacement. Consequently, the AGM battery can also be known as the VRLA battery. Of course, this stands for “valve regulated lead acid battery”. Hence, the two types are virtually the same battery. Thus, the AGM battery is sealed unit and will not spill out any acid. So, even if the battery is fitted on its side. Subsequently, the acid will not leak. As a result, this is because the acid is not free flowing. But is filled with a type of glass matting. Hence the term AGM “absorbed glass matting”. Of course all your battery orders will be dispatched the next working day delivery. Naturally to many UK postcodes.